We have our SS2016 collection launching this weekend!! We were hoping to have this launch Feb 19, but it looks like it wont happen until Saturday, Feb 20. With one set of helping hands helping out at an animal sanctuary overseas for the next two weeks, we're finding things are a bit delayed - but for good cause! Just goes to show how valuable each person of our team is to our operations. All hands on deck come March. We'll have our newest team member working three days a week rather than two to help with production AND wedding season is coming!! 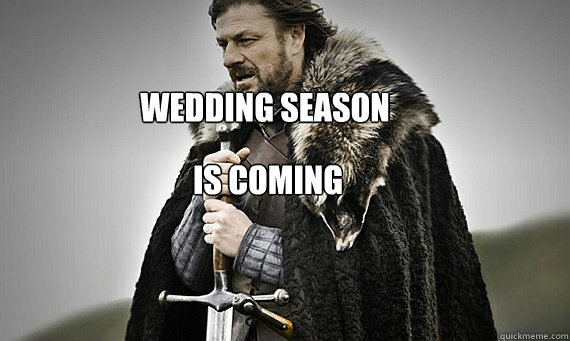 *Queue House of Stark Meme* - So it's sure to be all about the hustle over here beginning next month! We will only be able to participate at Pet-A-Palooza VANCOUVER this year!